PowerPoint. PowerPoint is not just for presentations. You can build great interactive tutorials using PowerPoint alone, without additional expensive plug-ins (e.g. Adobe Presenter). But, you need to know PowerPoint inside out and upside down to do it. PowerPoint is not as linear as you think. You can link between slides, add Action buttons for learner navigation, macros for user input, video, audio, screenshots and more. And you can convert the tutorial to fully functional flash for free with a plug-in like iSpring Free. Recommended reading: Better Than Bullet Points: Creating Engaging e-Learning with PowerPoint by Jane Bozarth (Kindle edition available). HTML. The good news is you don’t need to become an HTML super-coder. You do need to be able to write some basic code though, and you definitely need to be able to read code to find errors. Think about it, virtually every web-based application requires HTML code. Web sites, wikis, blogs, Libguides, and even YouTube require coding of some sort. And if you can read and write basic code, HTML editor software becomes a whole lot easier (especially Dreamweaver). Screencasting. Screencasting is a staple of e-learning. The basics are pretty easy to learn, but you should be thoroughly familiar with whatever screencasting software you use – to the point where you are able to both troubleshoot problems, as well as train others on the tool. Check out my post on screencasting tips. Learning Analytics. Big data drives big decisions, and one of the biggest trends in higher education right now is learning analytics. The idea behind learning analytics is to improve student success, with implications for library instruction. This is a challenging area to tackle. To get your feet wet, try the tutorials from Google Analytics. This one is on my to-do list! Cloud Computing. Cloud-based learning is the next generation of e-learning, and there’s a steady movement in higher education toward the adoption of cloud computing. Add to that mobile cloud computing, and you have a major trend on your hands. 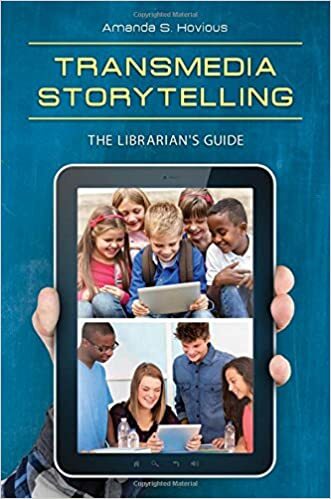 From an e-learning perspective, blended librarians need to stay current with the latest cloud applications for education, such as Evernote, Zotero, DropBox, Skydrive, StudyBlue, Google Docs, Google Apps for Education, Adobe Creative Cloud, and more (the list is endless). Recommended resources on cloud computing: Educause and EdTech Magazine. This is great! My work just started a subscription with lynda.com and I was looking for training I could do that would help me in the field :).